and it requires a multitude of talents. means helping them inevitably get closer to you. to become better people and better Christians. and the joy to dispel all boredom. loving relationships, mental effort, manual work. not so much by my words as by my actions. Many of you will recognize Dr. Stepanek's son Mattie. Caution: Sometimes a tear-jerker. Very pro-life witness of a mother who suffered the loss of all her children. 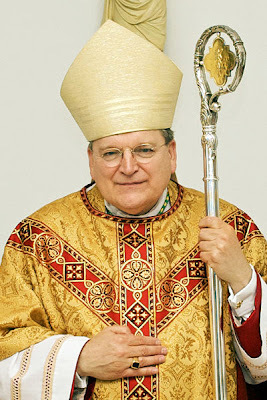 Meet the 24 new cardinals - Special Congratulations to Archbishop Raymond Burke! The cardinals wear red to symbolize "their willingness to shed blood for the increase of the Christian Faith." 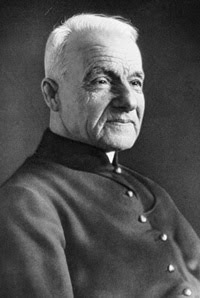 Saint Andre Bessette was canonized by Pope Benedict XVI, on October 17, 2010. I cannot express enough how happy I was to see this simple and humble soul officially proclaimed a saint of the Catholic Church. 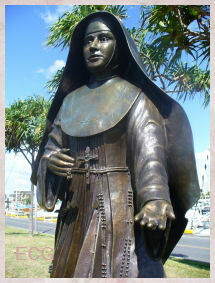 Saint André, pray for us. ...Three years later, Alfred presented himself as a candidate at the novitiate of the Congregation of Holy Cross in Montreal. 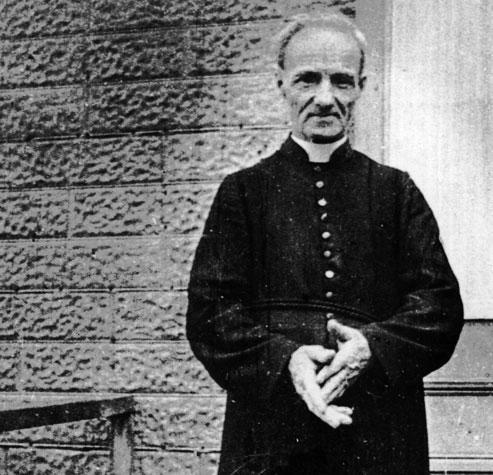 Because of his uncertain health, his superiors had doubts concerning his religious vocation. Finally, he was accepted and given the name Brother Andre. He was made porter at Notre Dame college and was known to say: "When I entered the community, my superiors showed me the door, and I remained there 40 years without leaving." 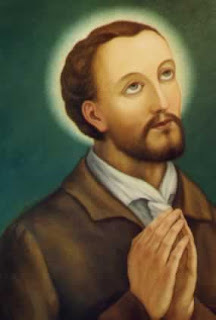 He also washed floors and windows, cleaned lamps, brought in firewood, and worked as messenger. Soon Brother Andre started to welcome the sick and broken-hearted. 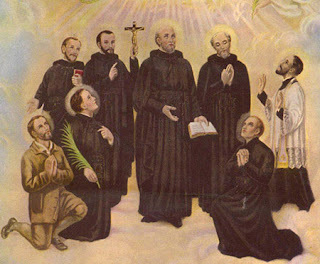 He invited them to pray to St. Joseph to obtain favors. Before long, many people reported their prayers were being answered. For 25 years, in his small office or in the tramway station across the street from the college, Brother Andre spent six to eight hours a day receiving visitors. He built a chapel with the help of friends and with the money he earned giving haircuts to the students of the college. 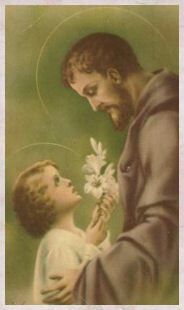 He was certain that St. Joseph wanted a place on the mountain and he spent his whole life preparing a beautiful shrine in the saint's honor. In the meantime, there was talk of healings which doctors could not explain. Brother Andre began visiting the sick and earned the reputation of miracle-worker. 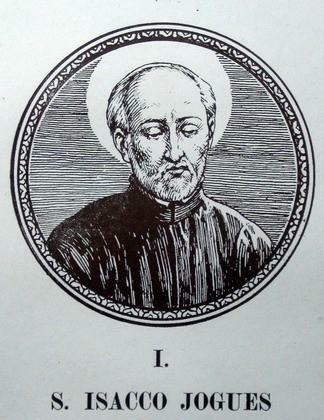 But he strongly protested: "I am nothing ... only a tool in the hands of Providence, a lowly instrument at the service of St. Joseph." 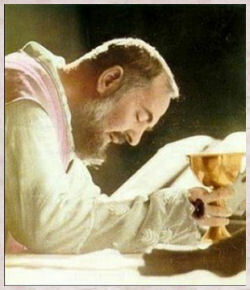 He went even further: "People are silly to think that I can perform miracles. 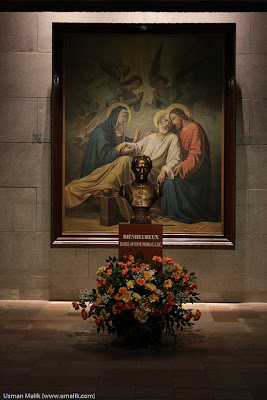 It is God and St. Joseph who can heal you, not I..."
Thanks to Sue Cifelli for sharing the video. Thanks to The Catholic League for sharing the quote source. This is from 2006 but it was so beautifully sung, I had to share it. 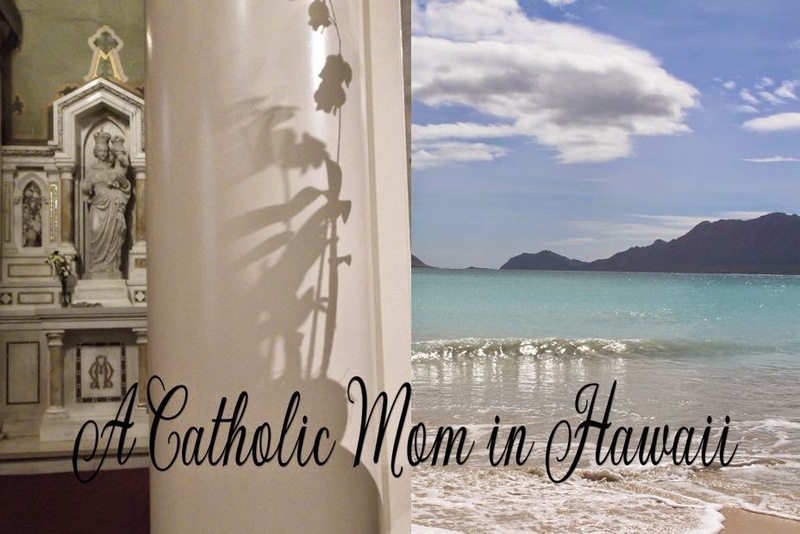 Mahalo to Sue Cifelli for sharing. BTW, please say a prayer for Michael Douglas, who you will see in the video as he battles cancer of the throat. Luis de Morales "La Piedad"
"Theirs is a story of educated and cultured men who willingly entered the Indian wilderness to live under the most primitive and dangerous conditions, ever ready to sacrifice their lives for the advancement of Christianity. 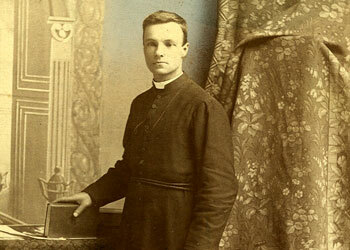 It is a story of heroism and love that demonstrates the best in the missionary tradition of the Church." - Father Albert J. Nevins, M.M. 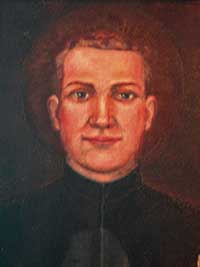 Father Isaac Jogues was captured along with Father Rene Goupil, when he returned to the site of the Indian attack, because some of his converted Indian guides had been taken captive. 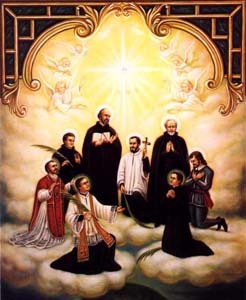 "There Jogues and Goupil were savagely tested. 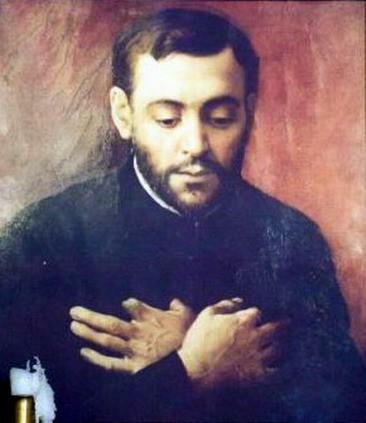 Father Jogues was beaten with sticks; his hair and nails were torn out; his fingers were chewed by Indian women, and his left thumb cut off. Both men survived the terrible ordeal and were forced to serve as slaves. 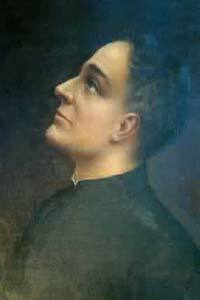 Goupil died a few weeks later; he was murdered for making the Sign of the Cross over a child. 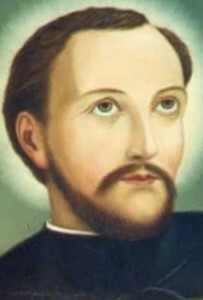 For the next ten months, Father Jogues occupied the lowest position in the Indian village...yet he dared to tend the Huron captives and secretly baptized seventy Indians." 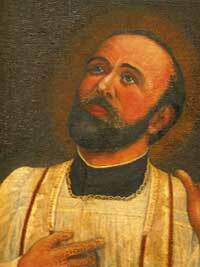 Father Jogues eventually escaped with the help of the Protestant Dutch aboard their boat. "A Protestant minister, seeing how horribly Father Jogues' hands had been mutilated, fell on his knees and asked the priest's blessing. 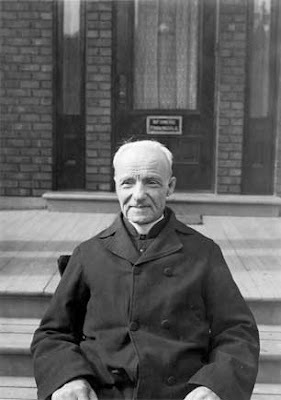 Later that same man introduced the priest to the pupils of his school ,declaring: "Today you have the privilege of beholding a saint." 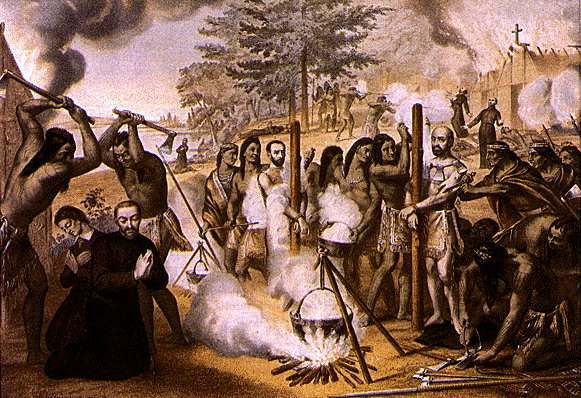 Amazingly, Father Jogues begged to be sent back to the Indians and was finally given consent by his superior. He knew he would not return. 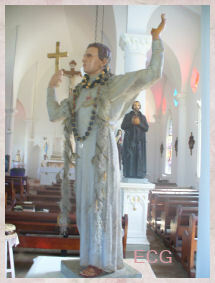 Upon entering the Indian village where he had been held captive, he was tomahawed from behind and died a martyrs' death. "The blood of martyrs is the seed of Christians...It was on such sacrifices that the Church and the United States have been built." - Father Albert Nevins, M.M. "...The Indians stripped their prisoners naked and tied them to posts. They tore the nails from their fingers, and beat them with clubs all over their bodies. 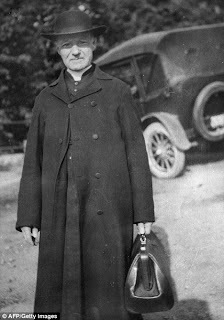 Boiling water was poured upon Father de Brébeuf in imitation of baptism; then a string of red-hot hatchets were hung about his neck. Then the Indians put a belt of pitch on him and lighted it, roasting his body. Next they cut out his tongue and began to peel the flesh from his bones." 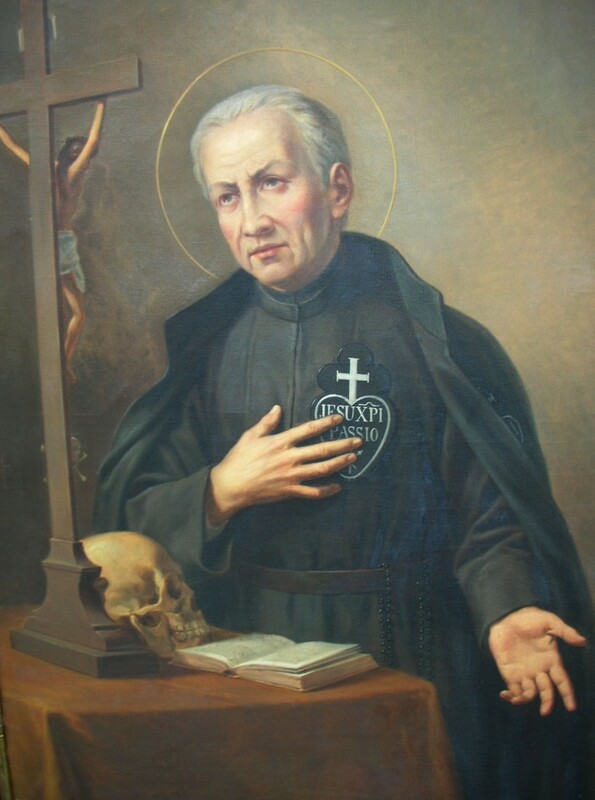 "...until Father de Brébeuf tongue was cut out, he did not cease continually to speak of God, and to encourage all the new Christians who were captives like himself to suffer well, that they might die well, in order to go in a company with him to Paradise." Text Source: Our American Catholic Heritage by Albert J. Nevins, M.M. The following was shared by one of my readers, Terri. Mahalo Terri! Is anointing of the sick a substitute for confession? Please watch this segment because it seems like everyone goes up for an anointing of the sick at Healing Masses at some parishes. The Catholic Church is not an "it"
In Christian usage, the word "church" designates the liturgical assembly, but also the local community or the whole universal community of believers. These three meanings are inseparable. 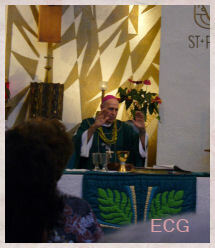 "The Church" is the People that God gathers in the whole world. 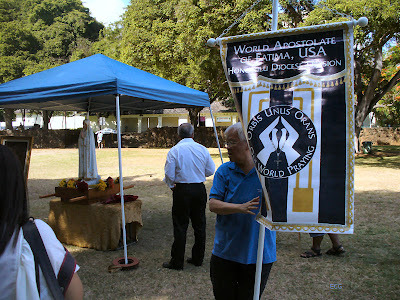 She exists in local communities and is made real as a liturgical and above all a Eucharistic assembly. 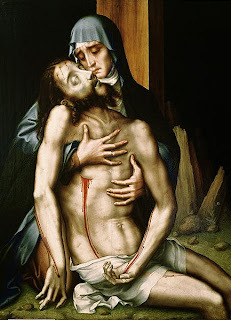 She draws her life from the word and the Body of Christ and so herself becomes Christ's Body. The comparison of the Church with the body casts light on the intimate bond between Christ and his Church. Not only is she gathered around him; she is united in him, in his body. 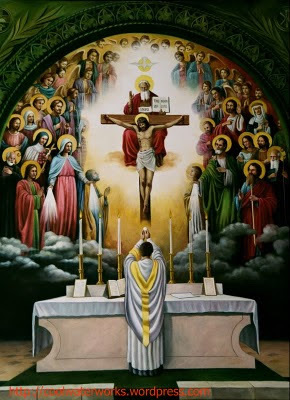 Three aspects of the Church as the Body of Christ are to be more specifically noted: the unity of all her members with each other as a result of their union with Christ; Christ as head of the Body; and the Church as bride of Christ. 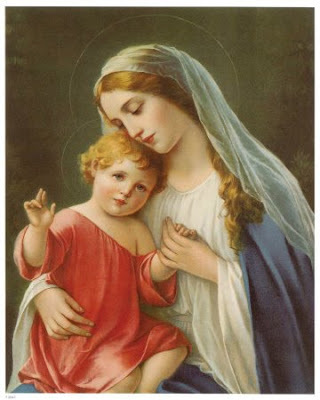 The proper pronoun to use when speaking of the Catholic Church is "she". 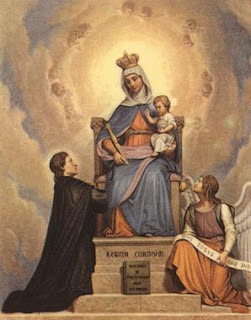 She is Holy Mother Church. 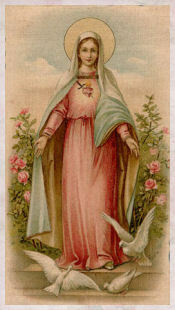 She is the Bride of Christ. 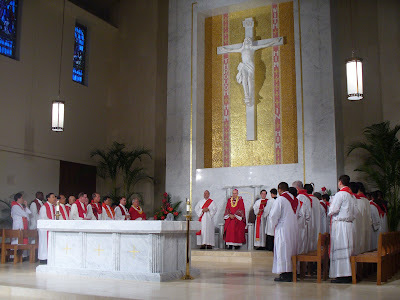 Why is it then, that more Catholics now refer to the Church as "it"? 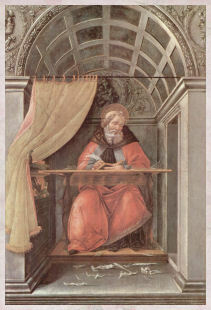 For example, during the reading of the Prayers for the Faithful intentions at this past Sunday Mass, the following was read..."for the Catholic Church, that "it" continue..."
That same day that the above referred to intention was read at Mass, the meditation for the day in the Magnifcat, happened to be one of St. Catherine of Siena's writing on patience and perseverance. 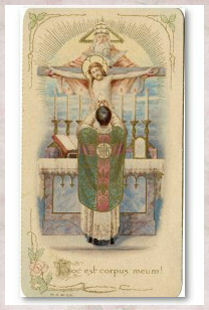 Our profession of faith begins with God, for God is the First and the Last,1 the beginning and the end of everything. 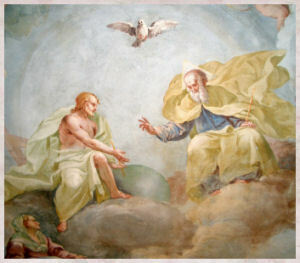 The Credo begins with God the Father, for the Father is the first divine person of the Most Holy Trinity; our Creed begins with the creation of heaven and earth, for creation is the beginning and the foundation of all God's works. 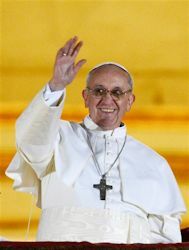 198 Catechism of the Catholic Church I Believe in God the Father. 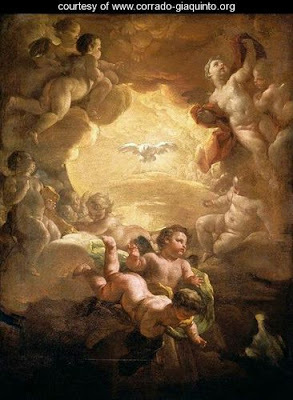 "This is how you are to pray: Our Father in heaven, hallowed be your name,your kingdom come, your will be done, on earth as in heaven. 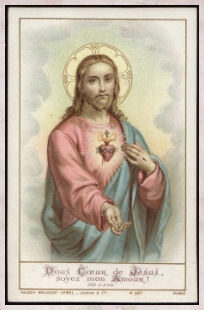 Give us today our daily bread; and forgive us our debts, as we forgive our debtors; and do not subject us to the final test, but deliver us from the evil one. If you forgive others their transgressions, your heavenly Father will forgive you. 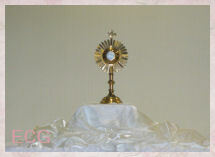 But if you do not forgive others, neither will your Father forgive your transgressions." Matthew Chapter 6:9-16.